Pop Feast is a regular supper club run in the big Pop Box space at Pop Brixton, with courses from a varied mix of their brilliant food traders. The next takes place on Thursday 11th February with 6 courses of Basque tapas, fiery Mexican and delicate Japanese cuisine from Donostia Social Club, Maria Sabina and Kyonocha. Tickets are just £40 and there will also be an extensive bar, so it's going to be a great night! 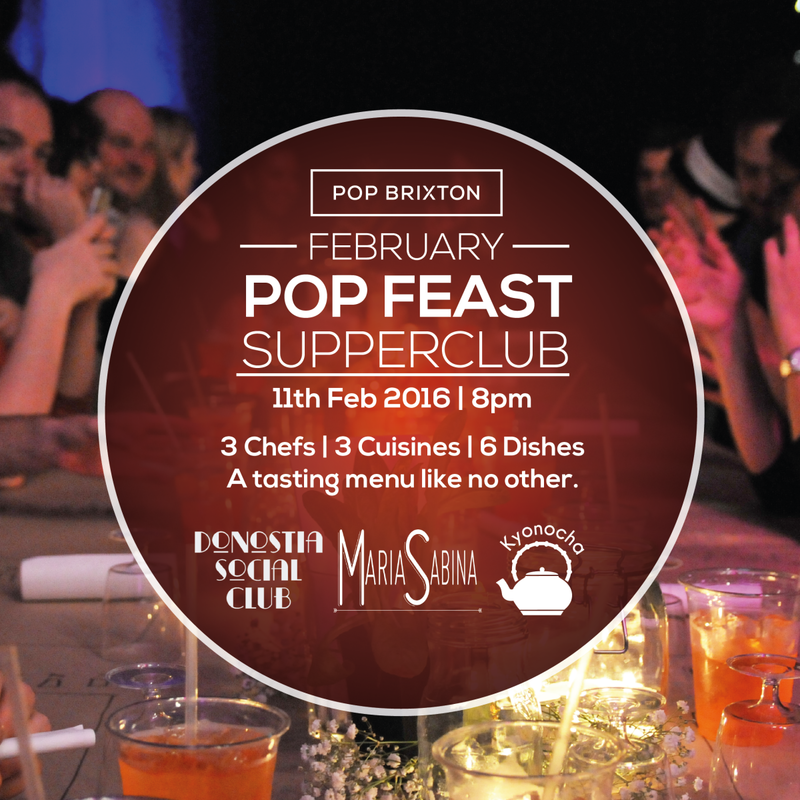 "After the huge success of our first Pop Feast Supper Club back in November, Pop Brixton's chefs and traders invite you back for round 2! Flipping up our broader "eat on your feet" ethos at Pop, you are invited to join us in our striking event space as we showcase 3 traders, 6 courses and 3 drinks for a sit down feast to remember. This time we're mixing up fusion Basque tapas, fiery Mexican and delicate Japanese cuisine with Donostia Social Club, Maria Sabina and Kyonocha. Each of our experienced chefs will be knocking up two courses, pairing one of those with their recommended tipple and showing how three styles of cuisine come together to create a tasting menu like no other. Pineapple tamales, glass of brandy atole (Maria Sabina)"